The Cephalopods family includes octopus, cuttlefish and squids, without a doubt some of the most strange and interesting creatures in the sea. Incredibly intelligent these beasties are for sure some of the favourites of divers and photographers. 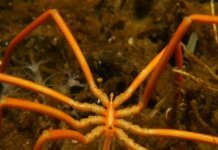 On this blog, I will talk about the most common member of the family, the octopus. 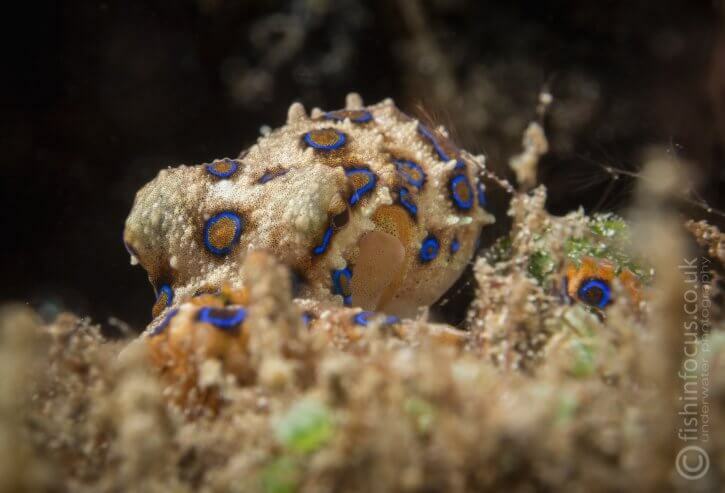 There are around 300 different species, from the huge Giant Pacific octopus to the small blue ring, today I will give you some tips on how to photograph these fascinating animals. 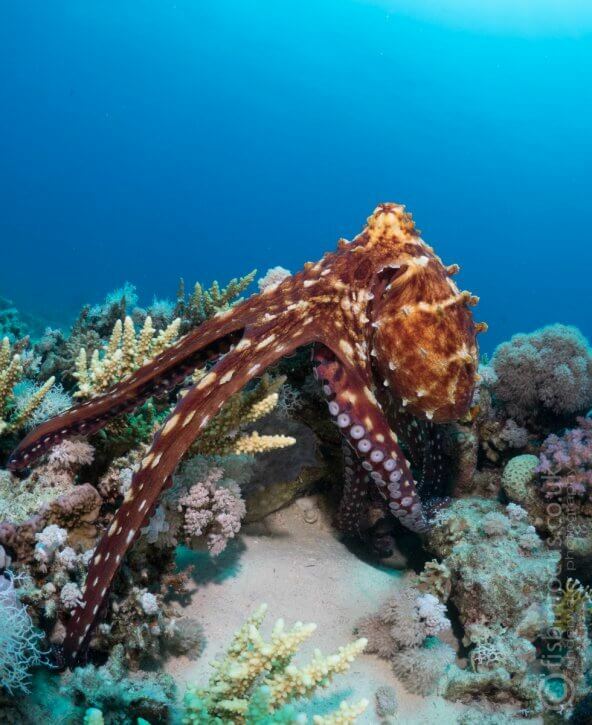 The reef octopus is probably the one most divers first encounter. 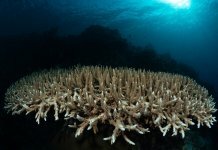 It lives in most tropical sees in shallow reefs. Even if is widely distributed, it’s mastery in camouflage makes it’s relatively difficult to spot. They will change their colour and the texture of the skin to match the surrounding area. 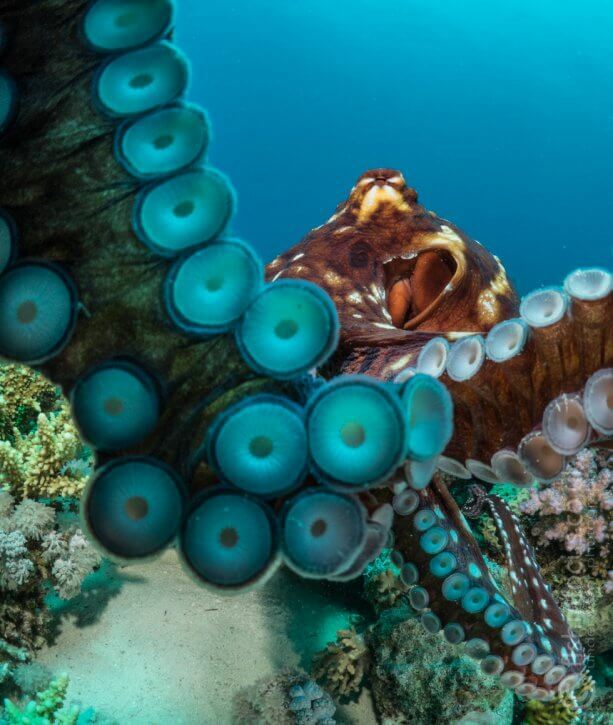 However, the curious nature of the octopus will drive it to investigate your camera making for a fantastic photo opportunity but always make sure you do not disturb the animal, remember that no photo is worth aggravating or disrupting marine life. These octopuses are very good letting you know when they are upset or feel threatened by rapidly changing colour and flashing bright red. If that is the case simply back away and give it some space. Because they live in burrows and usually only stick the tip of their head out, getting a good separation from the background can be difficult. I’ve found the use of snoots helps to focus your lights on the animal. 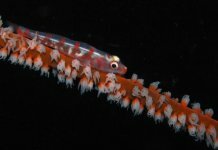 A snoot on my strobe focuses the light on this wanderpus and helps to separate it from the black sand. 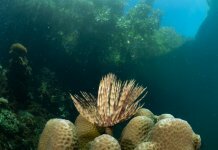 In some occasions, you will find your subject resting on a reef top. This will make your life much easier allowing you to shoot from a low angle avoiding a noisy background. 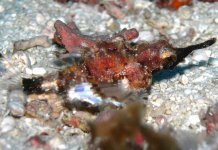 Reef octopuses are relatively large, measuring around 2 feet including the arms, means you can use almost wide angle lenses as well as macro. Photographers using compact cameras or mirrorless with a kit lens such as the 14-42mm found on most micro4/3 cameras have a great deal of flexibility. If you are using a wide-angle lens make sure you approach the subject from a very low angle so you can compose your shot including the blue background and if possible the surface. If on the other hand, you have a macro lens, try to get a close up of the eye, these shots are always very engaging. 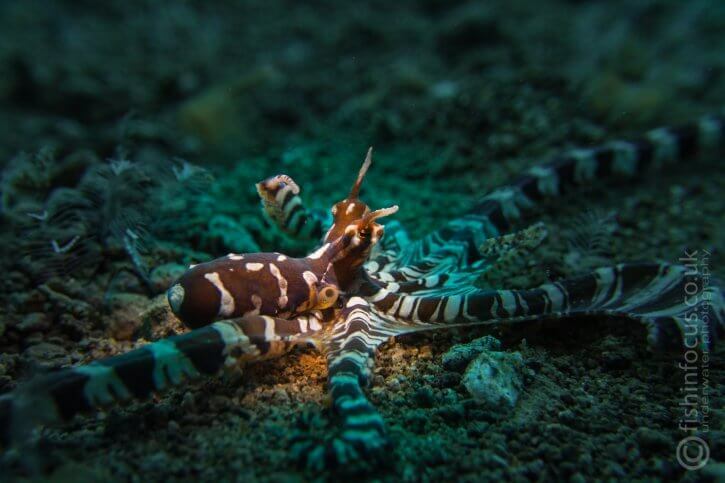 There are destinations such as Indonesia or the Philippines where you can find different species of octopus. From the ever-changing mimic to the charismatic Coconut, there are many great “tentacly” beasties to keep you entertained for hours. 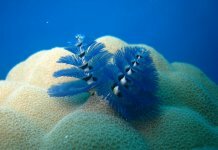 Muck diving is a paradise for macro photographers but there are a few things to consider. 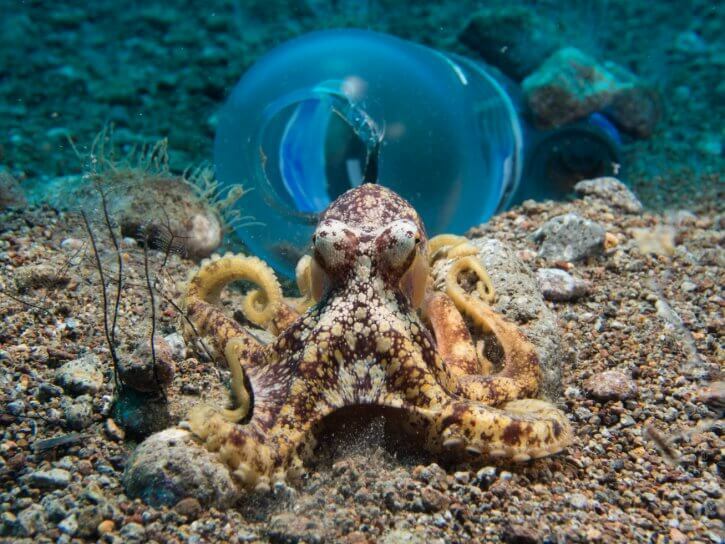 These octopuses live on the sand and almost never leave the bottom. Getting a good picture calls for some considerations about the composition. I’ve seen many octopus shots from above and I personally do not think they look great. A blue ring octopus shot from a low angle. Controlling backscatter is something else you should think about. 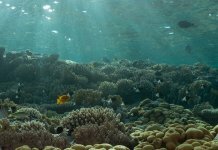 These dive sites tend to bit a bit murky and it is very easy to disturb the sand in the area, therefore, Try to get as close as possible to the octopus in order to minimize the amount of water between t of the lens and the subject and pay special attention to the position and power of your strobes. There are two species I’m particularly drawn to, the Blue Ring and the Coconut. 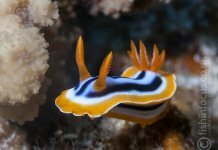 The first is a beautiful beasty but always remember it is one of the most poisonous marine creatures and you should never try to handle them (this should be a constant rule as a diver but is worth mention it). When you approach them, they usually flash the blue rings on their body to warn potential predators making for very vivid pictures. 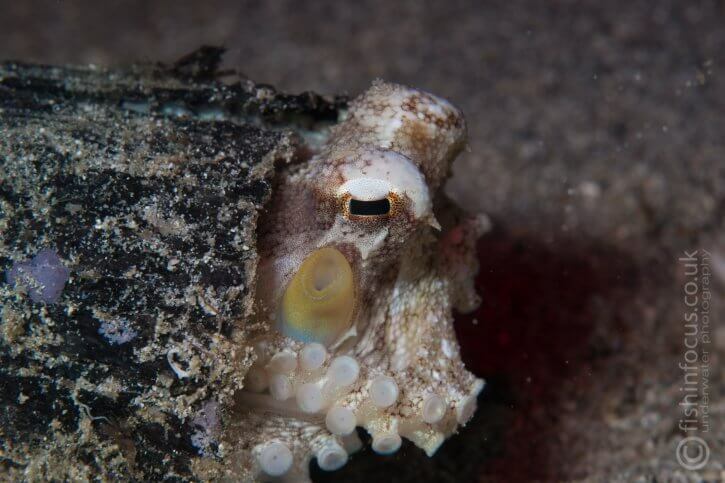 Coconut octopus, on the other hand, are crafty little animals. They are the only cephalopods known to use tools. It is not unusual to find them using shells, coconuts or any other object as a shelter. A macro lens would be my choice when photographing these little guys, try to use a relatively short one such as 60mm for DSLR or a 45mm for mirrorless, this way you won’t be forced to be too far away. 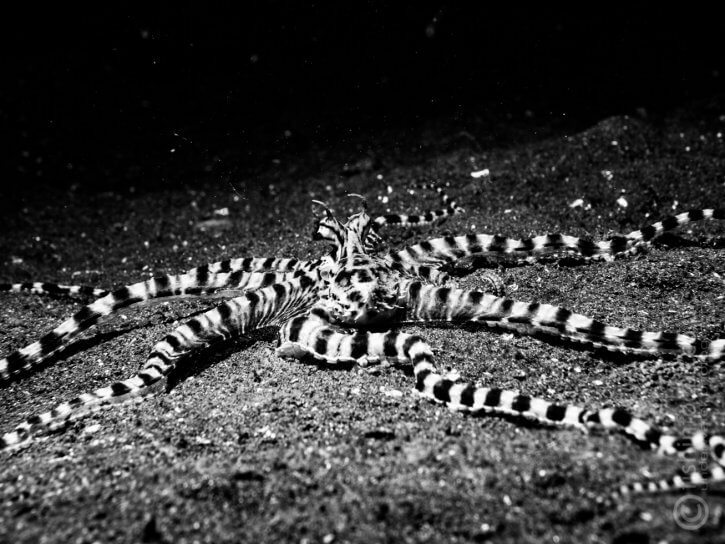 If you shoot with a compact camera, you can use the zoom and position yourself no more than a foot away from the octopus. 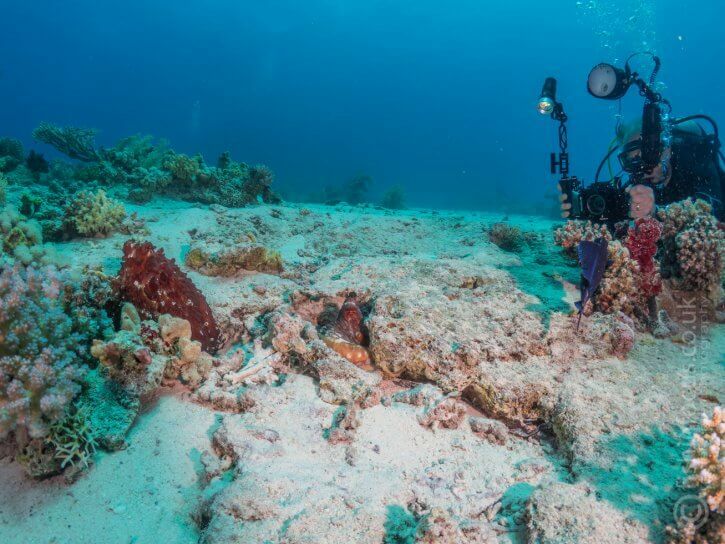 A diver with a compact camera carefully approaches a couple of reefs octopuses. I always say get good eye contact and today is no different, The octopuses eyes are very interesting and are worth making them your focal point. But do not forget the tentacles, the suckers can add some very interesting textures and they can create attractive shapes. 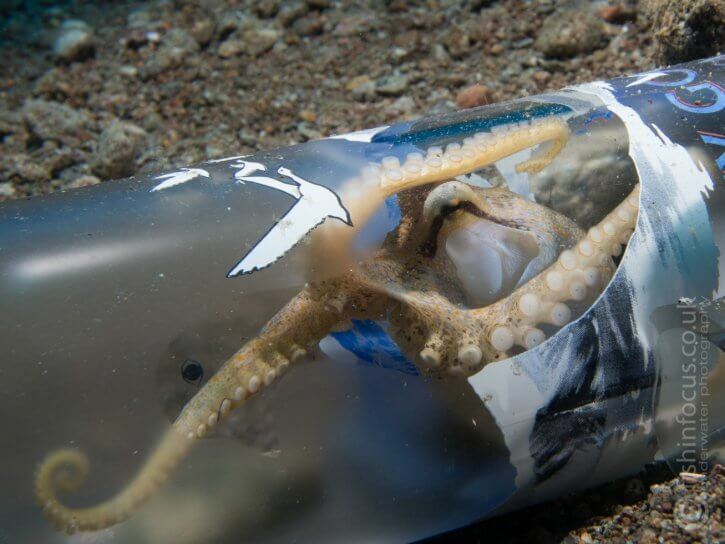 A mototi octopus, a variety of blue ring family uses a discarded bottle as a den. 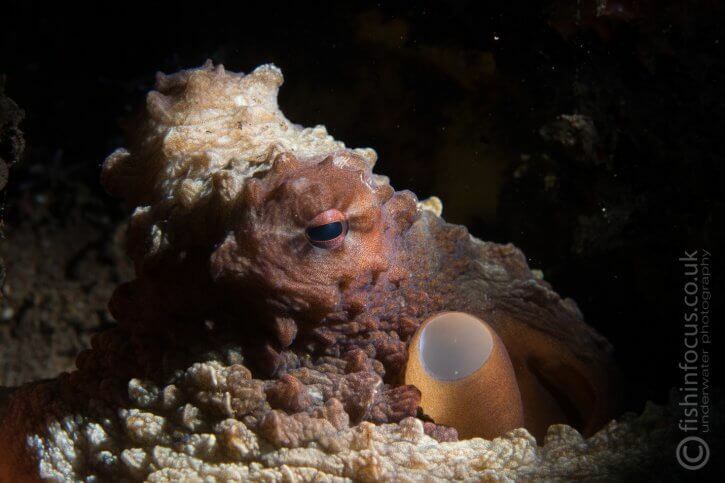 Octopuses are not the biggest subjects out there but are by a long way very interesting so next time you are swimming along the reef pay attention to the bottom and if you see one of this guys spend some time with it. The same mototi octopus guarding its home. 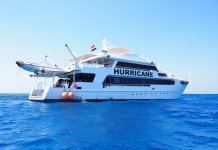 Join Mario on one of the photo trips to have the chance to take your underwater photography skills to the next level. 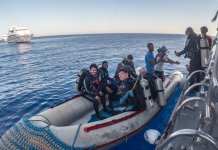 Next articleJim’s Maldivian Manta Mission!